King Island is situated in Bass Strait, between Victoria and Tasmania and only a 50-minute flight from either state. The only way you can get to King Island is by plane, but don’t let this stop you from experiencing the peace and quiet of Island life, where the local ‘wave’ as you go by is a way of life, and the only traffic delays you will come across are wallabies and turkeys. 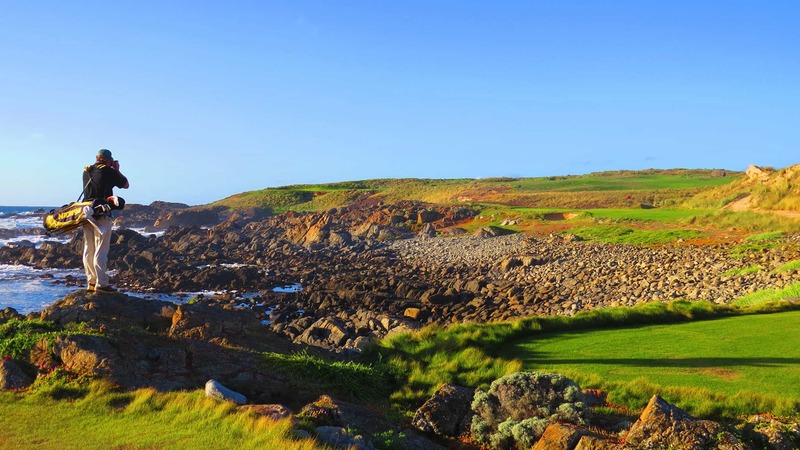 In 2016, the island saw the opening of two world class golf courses on the Island, with Cape Wickham Links recently securing a position as the third highest ranked course in Australia. King Island is also the home of the acclaimed King Island Dairy. See King Island's tourism information website for travel information, and for accommodation, see King Island Holiday Village. Travelling with a small group to Tasmanian locations with Kirkhope Aviation was a very enjoyable 4-day getaway. This tour had the lot - great food, excellent local tour guides, stunning scenery, smooth plane ride, and a picture perfect view of the Twelve Apostles.